Even after a long day filming there is always the prospect of a pleasant surprise. I was running late and stopped for some quick bits at Tesco in Harlow at just the right time. This entry was posted on August 26, 2016 by Mät King. 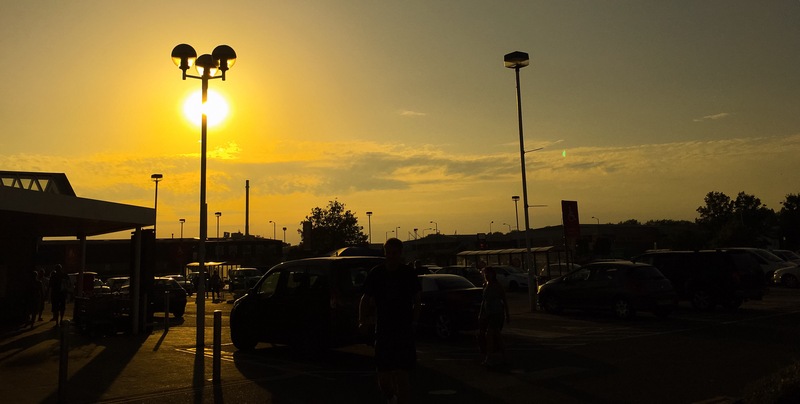 It was filed under filmmaking, Shopping, Tesco and was tagged with Essex, fiilmimg, Harlow, late afternoon, sky, sunset.